The Chapel Row Gallery has now closed permanently. It is 15 years since Six Chapel Row Contemporary Art opened its doors and four since it was relaunched as the Chapel Row Gallery. Now it is time to do things differently. Building on a series of exhibitions of books and bookbindings held at the Chapel Row Gallery between 1996 and 2010 (including To Have and To Hold, Birds, bird books and bookbindings and To Have and To Hold 2), we will be putting on exhibitions at different locations in the UK and exhibiting a carefully selected range of contemporary books and bindings from the UK and overseas at book fairs. 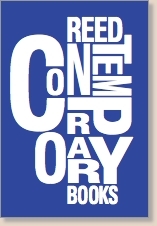 Please email Josie Reed if you'd like to be kept up to date with the progress of Reed Contemporary Books.